The Platform on Disaster Displacement: implementing the Protection Agenda, a toolbox for disaster displaced persons. 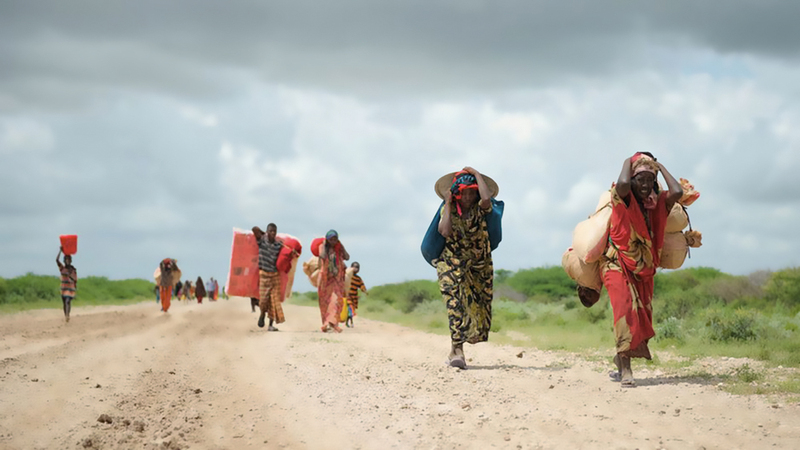 The Protection Agenda offers States a toolbox to better prevent and prepare for displacement before a disaster strikes, as well as to better respond to situations when people are forced to find refuge, either within their own country or across an international border. People who are forced to cross a border in the context of a disaster and the effects of climate change have limited protection when they arrive in another country. 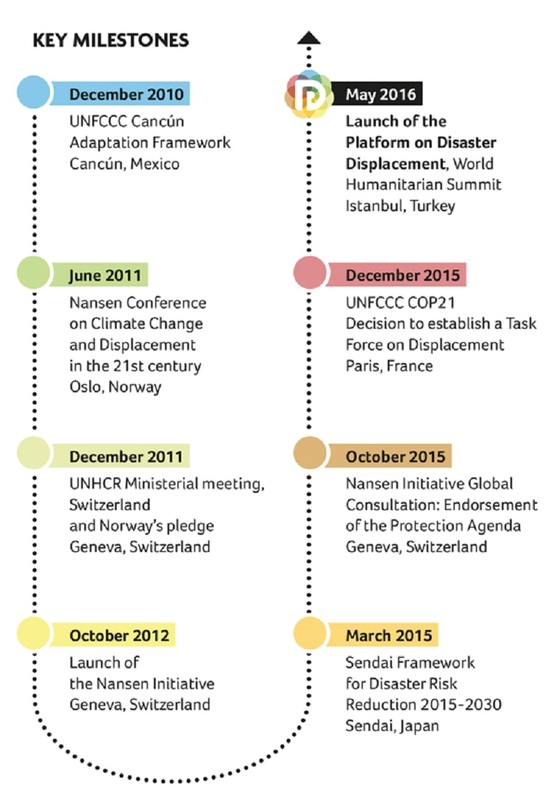 Rather than calling for a new binding international convention on cross-border disaster-displacement, the Nansen Initiative Protection Agenda supports an approach that focuses on the integration of effective practices by States and (sub-) regional organizations into their own normative frameworks in accordance with their specific situations. The enormous challenges that cross-border disaster-displacement generates are diverse. Because of their ‘borderless’ nature, international cooperation as well as regional and national engagement will be crucial. While being a state-led process, the Platform will build strong partnerships between policymakers, practitioners and researchers and will constitute a multi-stakeholder forum for dialogue, information sharing as well as policy and normative development.